As soon as the details of Instagram‘s new Terms of Service were announced, users started jumping ship. I can’t recall how many people I’ve seen in my own Twitter and Facebook streams saying they had already deleted all of their photos and their entire account, but even if I’m extrapolating from that small sample size it’s pretty clear that plenty of people were irritated enough to instantly take action. Okay, so if you’re dead set on never using Instagram again, but you’re hooked on sharing photos you snap on your mobile phone, what are your non-Instagram options? Here’s a rundown of some of the apps/services currently out there – note that I haven’t tested all of these, and you’ll probably need to play with a few until you find the one you like best. And if your favorite part of Instagram was the community you found there, then you’ll probably need to wait to find out which app your community gravitates toward the most. Twitter – You can add filters to photos you upload directly to Twitter now, although you can’t share with multiple social media accounts at once. 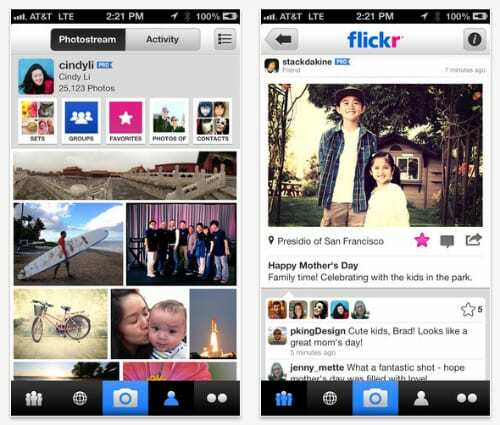 Flickr – Flickr recently overhauled its mobile app to include filters (to almost equal amounts of praise and derision), and you can share photos easily across platforms. Camera Awesome – This is a great camera app in general, allowing for all sorts of photo editing and then sharing across multiple platforms. 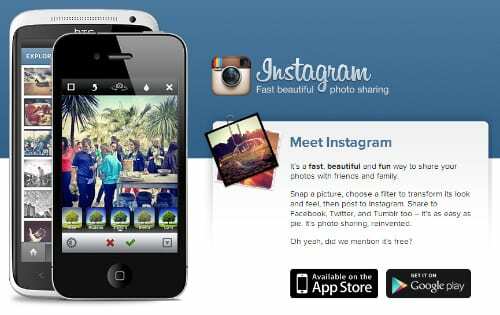 Pixlr-O-Matic – This is a photo editing app with a plethora of photo editing overlays and effects, including a “randomizer,” plus sharing features. EyeEm – The EyeEm mobile app boasts a simple design for users to snap, edit, and share photos quickly and easily. Starmatic – Starmatic allows for shooting, editing, and then sharing (but only on Facebook and Twitter). PicYou – With the PicYou app, you upload photos, add a filter, and then you can share it with multiple platforms. TaDaa – TaDaa lets you take photos, edit them with several editing features, and then share across your networks. But y’know what? No matter what service you’re using, you may eventually run into the same issue Instagram fans are facing right now – because you’re using someone else’s service, and they can (and will) change the rules on you. No matter how benevolent your overlords of choice may seem at the moment, there’s no telling when they’ll turn to the dark side (AKA get bought by Facebook or Google or something). After all, these companies exist to make money, right? If this Instagram incident has served as a wake-up call for you and you’d rather keep your photos on a platform over which you have more control, then consider setting up your own mobile photoblog. This post explains how to set up a mobile photoblog on WordPress.com, but tech-savvy bloggers may want to futz with doing something similar on their own domains. And if you’re still eager to ditch Instagram for something else – whatever that “something else” is – then here’s some information about exporting and downloading your whole Instagram photo backlog before you pull the plug. UPDATE: I just this article about a new site that will migrate all your Instagram photos over to your Flickr account with a few clicks. Quite handy.